Last weekend’s blog post was written in different times. As predicted given May’s weak majority, Sajid Javid stayed in position as Secretary of State for Communities and Local Government. The announcement of Alok Sharma as housing and planning minister on 13 June was frankly a disappointment. No doubt he is a capable politician, but the task of planning for housing should be a critical priority for the government and to appoint again a junior minister without experience at a senior level of government, without a cabinet role and without previous planning or housing experience was not a good sign. The appalling fire in the Grenfell tower in the early hours of 14 June and the anger that followed was an immediate reality check as to why we need to get a grip on the seriousness of what we face. Come back Lord Heseltine. This country has a housing crisis. Not enough homes are being built, there is a need for housing which is affordable for those of low means (including social housing with fixed rents) and we must ensure that what is occupied, new or old, is safe. If, as the housing white paper trumpeted on its cover, we have a broken housing market, who is going to fix it, when and how? Who is also going to make sure that the Building Regulations remain fit for purpose and that, crucially, local authorities have the powers and resources properly to enforce them? What is the bulwark against those inevitably lobbying for another “red tape challenge” or “one in two out” rule? This is wider than about the Grenfell tragedy, whatever its causes turn out to be. The next tragedy may well not be a fire but another lapse or loophole, where we will be told, again, that “lessons will need to be learned”, that there will be a “full public inquiry” and all of the other usual platitudes. It is truly depressing that the present government (as well indeed as the Labour party) has Brexit (a riddle, wrapped in a mystery, inside an enigma) as its main policy focus rather than something as urgent and important as providing sufficient and safe housing. And more widely, to what extent has one reason for Brexit been to allow the UK government greater freedom to relax regulations that were designed to protect us or our environment? The government’s continued prevarication on air quality (largely pushing compliance down to local authorities) and the disdain for EU environmental protections expressed by our new Secretary of State for the Environment, Food and Rural Affairs bring this into clear and immediate focus. But do we agree with these priorities? Housing, safety and security are fundamental human rights. 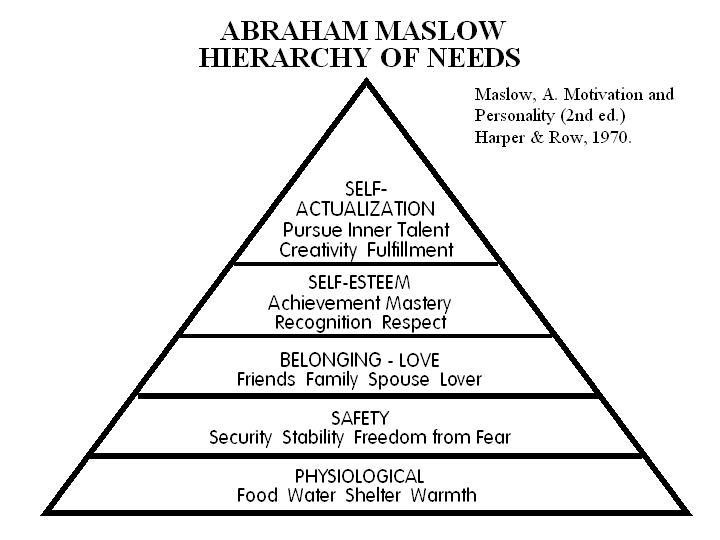 Where do the objectives of Brexit (whatever they may be) appear on Maslow’s hierarchy of needs for any of us? But this is meant to be a planning law blog. I had intended this week to look at a recent inspector’s decision letter in relation to a planning appeal, as well as two recent rulings from the Court of Appeal. By coincidence, the local planning authority for all of them is the Royal Borough of Kensington and Chelsea. On 12 June 2017, an inspector, David Nicolson, dismissed an appeal by Notting Hill Gate KCS Limited for planning permission for the demolition of the existing buildings on a large site at the junction of Notting Hill Gate and Kensington Church Street and redevelopment to provide office, residential, and retail uses, and a flexible surgery/office use, across six buildings (ranging from ground plus two storeys to ground plus 17 storeys), together with landscaping to provide a new public square, ancillary parking and associated works. On the site at present are a number of buildings, including the ugly and tired 12 storey office block known as Newcombe House; a linear block along Kensington Church Street with shops and restaurants, and Royston Court, a 5 storey building with ground floor retail and 20 self-contained studio units on the upper floors owned and managed by Notting Hill Housing Trust. The studios are occupied by former rough sleepers, in accordance with the grant conditions for its acquisition and refurbishment from the Rough Sleepers Initiative, although this is not secured at present by any section 106 obligation. The site is surrounded by four conservation areas but is outside all of them. There are listed buildings in the area, including Kensington Palace, listed grade 1. Notting Hill Housing Trust proposed to compensate the Borough for the loss of nominations to Royston Court through the provision of 10 two-bed homes outside the Borough and committed that proceeds from the sale would be invested in the provision of new family homes in lower value areas. – The inspector considered that the site value of £33m within the appellant’s viability appraisal was too high and he consequently did not accept the appellant’s position that affordable housing “could not be provided on site or, more importantly, that there needs to be a loss of all the existing 20 social housing bed spaces on the site or a net loss in the borough“. With a compliant affordable housing offer, or adjusted viability appraisal, the door is now open to the appellant to reapply. No doubt it is disappointing for all concerned that after such a slow and expensive process, appeal procedures are not such as to allow the appellant to respond to an inspector’s conclusions, perhaps by increasing its affordable housing commitment, before the formal decision was issued. Would that in some instances speed things up, or simply lead to additional brinksmanship? – In Republic of France v Royal Borough of Kensington & Chelsea (16 June 2017) the Court of Appeal unsurprisingly found that section 26H of the Planning (Listed Buildings and Conservation Areas) Act 1990 (a provision inserted by the Enterprise and Regulatory Reform Act 2013) is of no use as a procedure for certifying that sufficient works have been carried out so as to keep a listed building consent alive – it simply exists to certify that specific works would not require consent on the basis that they would not affect the character of the listed building as a special architectural or historic interest. There is therefore still no procedure for listed building consents, analogous to section 192 of the Town and Country Planning Act in the case of planning permissions. Nor is there a definition of “material operation” in the Listed Buildings Act. The court found that equivalent works may suffice as for planning permissions but the position remains unsatisfactorily uncertain for all concerned – in that case on one side of the grandest of neighbourly disputes Jon Hunt seeking to keep alive consents for a five storey super-basement scheme at 10 Kensington Park Gardens, on the other side the French Ambassador’s residence at 11 Kensington Park Gardens and, trying to adjudicate between competing interests, RBKC (I previously blogged on 6 December 2016 as to the extent to which the borough is particularly beleaguered by these types of cases in First World Problems: Basements). – In R (Khodari) v Royal Borough of Kensington & Chelsea (11 May 2017), the Court of Appeal held that obligations to requiring dwellings within a development to be “permit free”, ensuring that no one who occupied the additional units would apply for a resident’s parking permit, could not be secured by way of section 106 of the Town and Country Planning Act, given that the obligation did not fall within the restrictive list in section 106(1) of the types of obligation that may be secured (ie (a) restricting the development or use of the land in any specified way; (b) requiring specified operations or activities to be carried out in, on, under or over the land; (c) requiring the land to be used in any specified way; or (d) requiring a sum or sums to be paid to the authority … on a specified date or dates or periodically). In London the issue is academic only as the wider powers within section 16 of the Greater London Council (General Powers) Act 1974 can be recited but outside of London it is certainly an unnecessary headache. (The claimant, Mr Khodari, wasn’t even really concerned about the “permit free” issue – he was simply looking for a technicality to quash the permission as the permission was being relied upon by his landlord in proceedings being taken to end his tenancy). Both cases currently seem an unnecessary distraction and examples of the disputes that increasingly occupy too much time for planners – certainly first world problems in contrast to the more fundamental challenges those affected by the Grenfell disaster now face. Donations to the British Red Cross London Fire Relief Fund may be made here. Previous Previous post: Nightmare On Marsham Street: What Now?